— a person who has been forced to leave their country in order to escape war, persecution, or natural disaster. every minute, 20 people are forcibly displaced from their homes. according to unhcr, more than 65.6 million people have been forcibly displaced. there are currently more than 22.5 million refugees worldwide. half of which are below the age of 18. 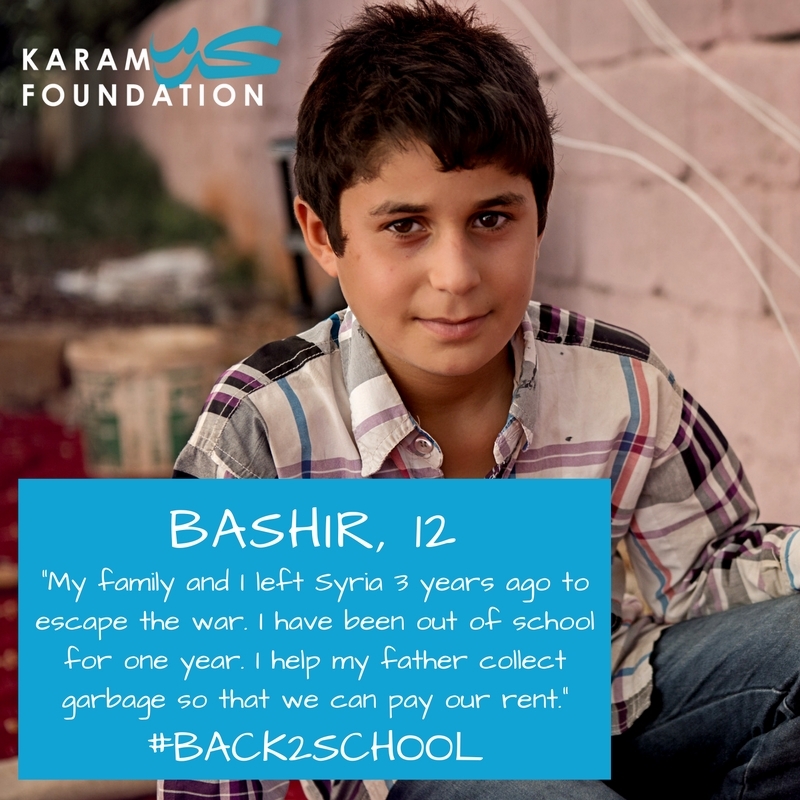 More than 3.3 million Syrian children do not have access to education. 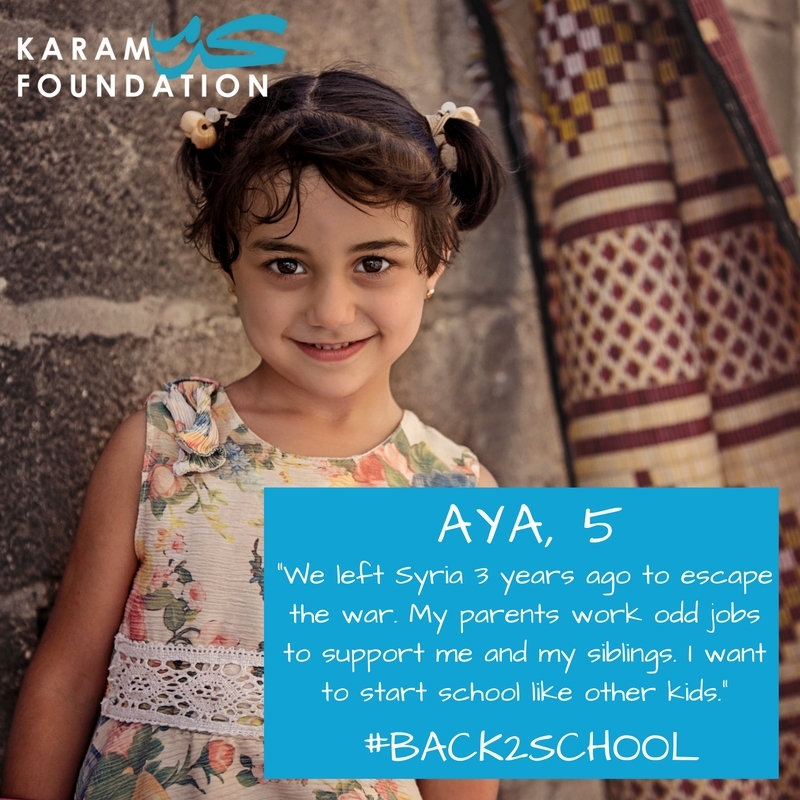 Karam's Sponsor A Syrian Refugee Family program provides families with a financial stipend to help stabilize them and adjust to their new lives in their host countries, on the condition that their children attend school regularly. Turkey is home to more than 2.9 million Syrian refugees –a majority of which are considered urban refugees. Many families have left Turkey –making a very difficult and dangerous journey across the Mediterranean in hopes of achieving a better life in Europe. This program aims to combat child labor, stabilize families, and make education more accessible to families in need so that their children have a bright and hopeful future. It costs just $50 to send a child to school for the month. Meet some of the kids below! Karam House, Reyhanli is a community innovation center. It is a safe space for Syrian refugee youth to advance their education and receive one-on-one guidance from skilled mentors that are refugees themselves. Students are able to enroll in workshops and learn skills in journalism, art, coding, programming, and so much more. Karam House is equipped with a maker-space, a 3-D printer, a library, a culinary lab, computers, and so much more. It is a special place where kids can find their passion, socialize with their peers, and build a community for themselves. The possibilities at Karam House are endless. Learn more about Karam House! 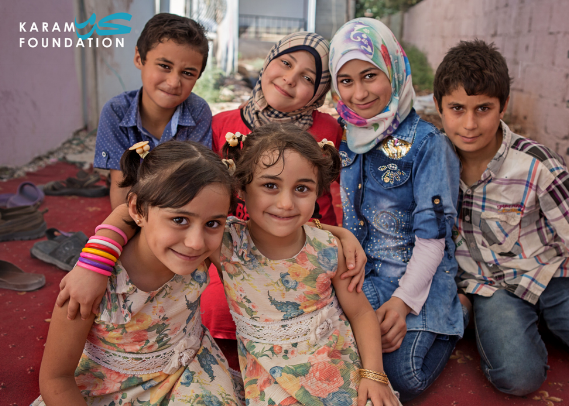 the dreams of more than 3 million syrian children are on hold, become a sponsor today! in 2016, the united states admitted less than 16,000 refugees from syria. that is less than 1% of the global syrian refugee population. nevertheless, our assistance programs expand across oceans and borders. here is the story of a young girl we met, elen. In 2015, the Karam Team met Elen, a bright student with a passion for learning. Elen and her family struggled in Turkey –her father is paralyzed, and she did not attend school so that she could watch her younger siblings while her mother worked. Elen and her family were part of Karam's sponsorship program. In 2016, Elen's family was admitted to the United States and resettled in Portland, Oregon. Today, Elen's family has a wheelchair accessible van, thanks to Chelsea Handler –a proud advocate for refugees with an incredibly big heart. You can learn more about Elen and other families we are supporting in the US through The Chelsea Fund. In 2016, we launched our higher education program for Syrian refugee teenagers that were looking to advance their education. 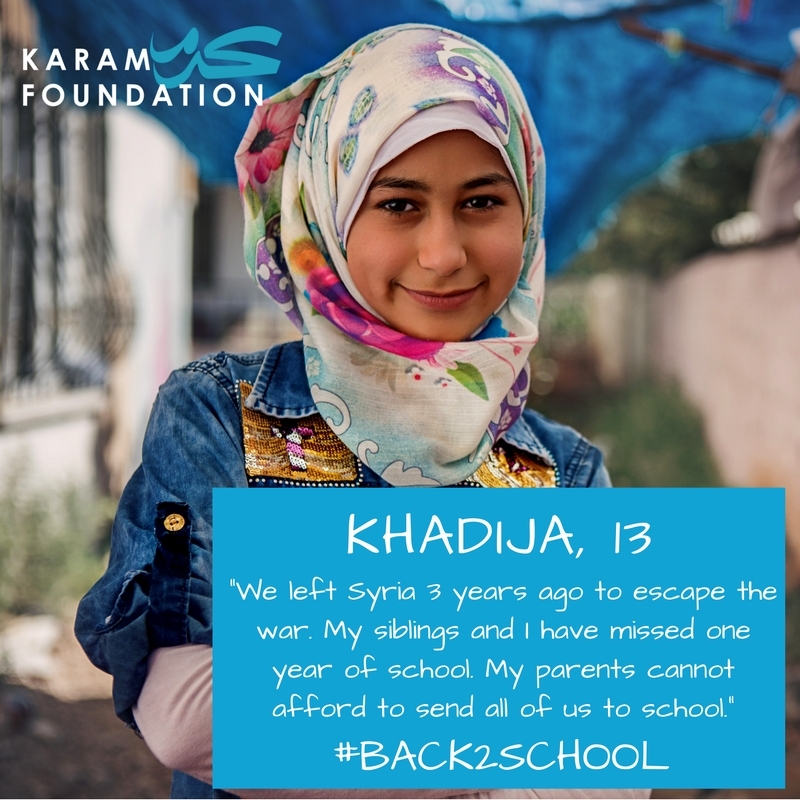 Our Karam Scholars program provides gap funding for Syrian university students in Turkey, tuition support for students in Jordan, as well as mentorship, tuition support, and gap funding for resettled high-school age Syrians in the United States. There are currently 23 students enrolled in the Karam Scholars program. We are excited to expand this program and support more students in their journey to pursue higher education. Currently, our students are enrolled in universities in Jordan and Turkey. We have several students enrolled in institutions throughout the US, including Philips Exeter, Philips Andover, St Johnsbury, and NuVu. 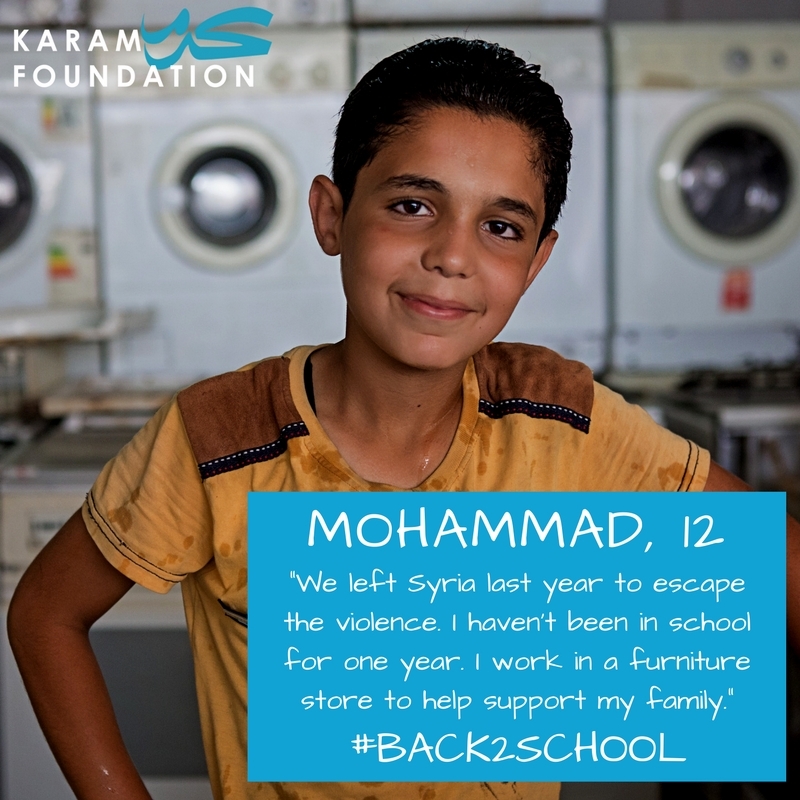 Learn more about our Karam Scholars program and how you can make a difference! "finding home in the time of displacement"
What does "home" mean to a child growing up as a refugee? What kind of future are we envisioning for the millions of people fleeing war, searching for sanctuary, and longing to belong?